Can hypnosis for weight loss at Main Line Hypnosis really work? Hypnosis has been clinically tested that it is effective in weight management and weight loss. With obesity rates at an all time high and fad diets coming and going, isn’t it time you finally dealt with the real reason for your weight- your thoughts and emotions tied with food. By addressing the root issue of your problem you are more likely to find success! You will find that hypnosis is all about you taking control of you. What if you could create a new confident, sexier, slimmer you? All without starving yourself, prescription drugs or feeling deprived? If you want to gain more control over what you are eating, give me a call today for a free consultation! 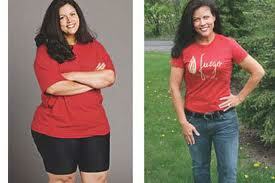 The Habit of Thin Program is a lifetime solution, not a diet! Our program is a blend of conscious and subconscious exercises to rewire your brain for success. It can be used in conjunction with other programs to get you the success you want. Finally deal with your emotional connection to food, as well as emotions with your body to have you feeling more in control around food. Using the blend of conscious and subconscious work, you will create the healthy habits you need to give you a powerful weight loss combination that allows you to reach your goals! If you are ready to break through old patterns and take control of your life then contact me about our Habit of Thin Weight Loss Program. It is time to take action today! On our first session we will get clear on your vision and goals. Identifying what your true intentions are and align them with your goals to help ensure success. We will identify what has sabotaged you in the past. I will introduce some suggestions in your subconscious mind that will improve your confidence and self esteem, enhance the appeal of healthy foods, increase your motivation for exercise, and reduce stress levels. Each session we will get you closer to your goal, and deal with your personal limiting beliefs. Hypnosis will help you break free of these beliefs and gain control over your life. 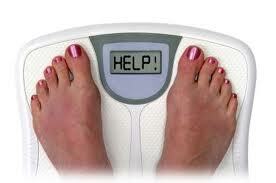 Main Line Hypnosis’s Habit of Thin method will help you control your appetite and lose weight fast and for good. Without feelings of deprivation and without cravings. Reducing stress levels seem to have a cause and effect relationship on people’s weight. Learning scientifically proven methods to reduce stress is another key aspect of our successful program. Studies have proven that when people are chronically stressed, they tend to crave comfort foods – such as cookies and burgers and they are more apt to put the weight gain on their abdomen. When cortisol levels increase and stay elevated over time can cause negative effects on the body- gaining weight, depression, obesity (associated with type II diabetes, cardiovascular disease and stroke) and a loss of brain tissue. Hypnosis addresses your stress levels and allow you to lower cortisol levels in your body.